Vale Security Solutions Ltd have just completed an Inova Gate installation at a South West Water site in Plymouth. 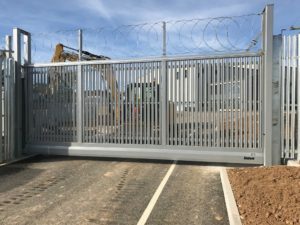 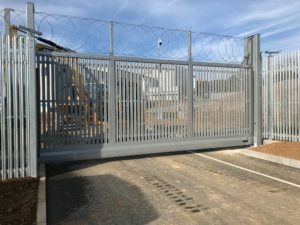 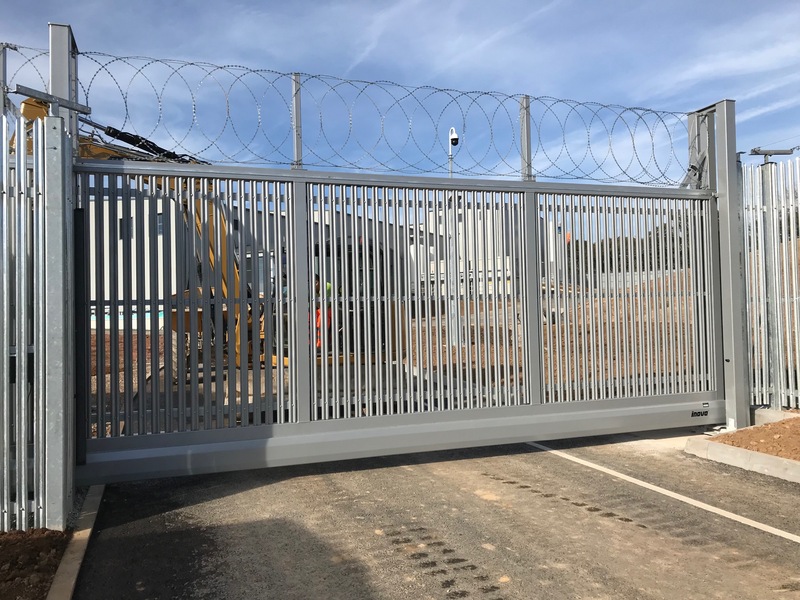 This gate is an INOVA 400 ESI Model with a clear opening of 7000mm and a height of 3000mm with 600mm Extensions for Razor Wire. 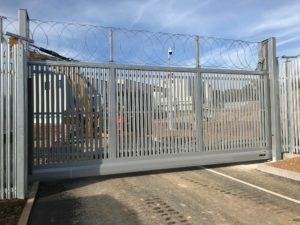 The gate has a Palisade Infill and finished in the unique Inova Inometallic Silver double polyester powder-coating. 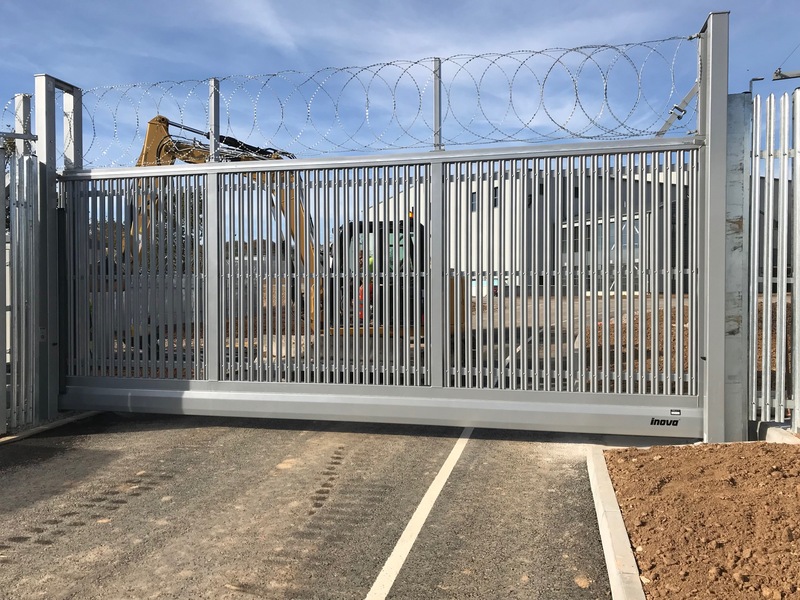 In addition to the many features incorporated in the Inova Gate System this gate includes a SPECIAL Heavy Duty “Lone Worker” Tandem Roller fixed at the main column position. 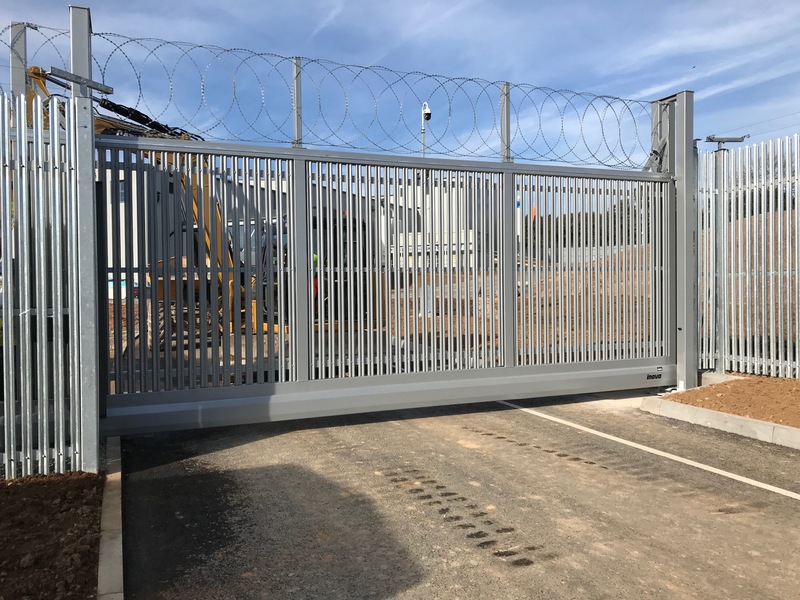 This installation showcases another excellent Inova Gate System in situ.